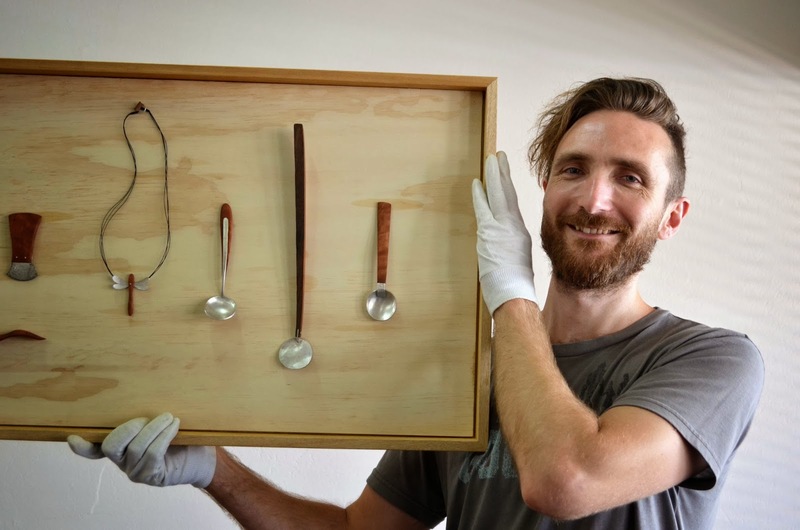 Western Riverina Arts have opened the Reimagining the Murrumbidgee exhibition at the Wagga Wagga Art Gallery. Reimagining the Murrumbidgee explores relationships to the River through artworks by David Williams, Hape Kiddle, Sarah McEwan, Trent Light and Jason Richardson. The exhibition was developed in partnership with the Murrumbidgee Catchment Management Authority with funding through Caring For Our Country. "The artists have responded to the River in distinctly different artworks," said curator Derek Motion. "Their varied media offer an opportunity to compare and contrast themes such as environmental, economic and cultural significance." "Trent Light's portraits and interviews with Narrandera residents capture local attitudes and interests, while Sarah McEwan has created an installation that provides a rich metaphor," said Mr Motion. 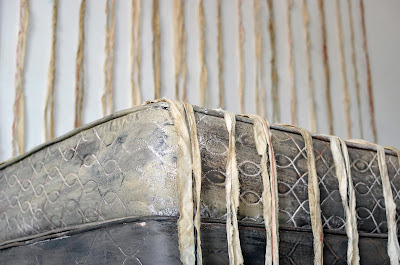 Birrego-based artist McEwan infused her artwork with the River. "To make this work I went down to the Murrumbidgee near the Oakbank Brewery to soak eight-metre long pieces of fabric and collect rocks, bark, bottles and dirt," said Sarah McEwan. "Part of the Murrumbidgee is in this work and I hope my installation can channel the sacredness that people feel to this mighty river." 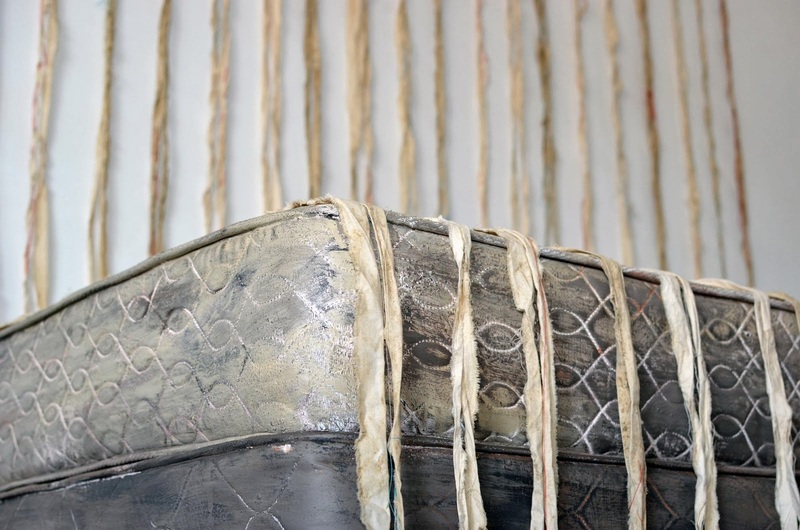 "’Rest In the River’ is an installation using found and natural materials to create a work that represents the threads of life that all rivers hold for the survival of people, animals and the environment,” said Mrs McEwan. “Beyond its practical uses, the Murrumbidgee is ‘home’ for many people; a place to rest, to seek comfort and to be taken away to the spiritual." David Williams' painting shows the effect of Gogeldrie Weir on the River, in a contemporary indigenous style; while Hape Kiddle worked on a riverbank to craft jewellery, carvings and silver spoons. “I think Hape's work is beautiful, both in itself and as a comment on how human culture developed through agriculture,” said Derek Motion. 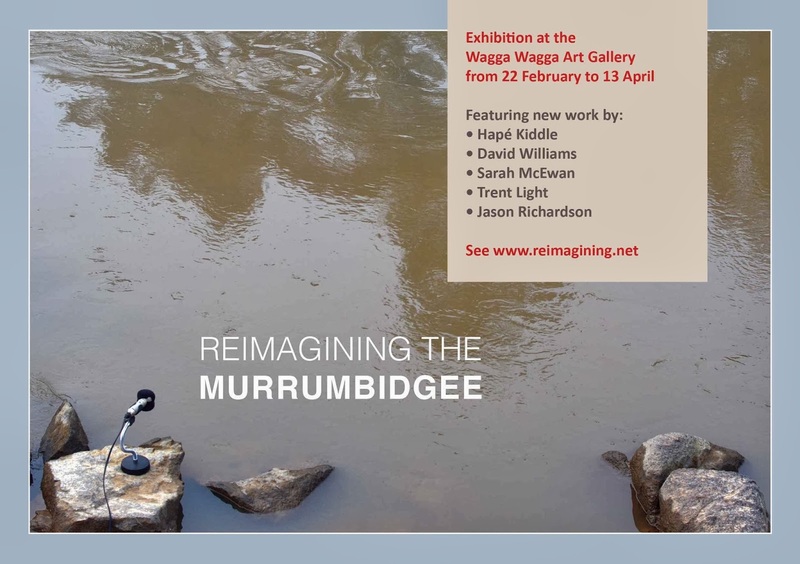 Reimagining the Murrumbidgee will be in the Links Gallery of the Wagga Wagga Art Gallery from 22 February to 13 April 2014.